Thanks for a great year, and be sure to come back in 2012-2013 for another exciting season, featuring the Drowsy Chaperone and Spamalot! Thanks for another amazing year of theatre at Santa Barbara High School From Alice in Wonderland and Music of the Night through Into the Woods, the year was marked by the professionalism and passion that defines Santa Barbara High School Theatre. We wish all the graduating seniors the best as they continue on their particular paths, and look forward to the 2012-2013 season! Also, congratulations to Allison Lewis and McKenna Mender, the recipients of this year's Christopher Story Scholarship for excellence in the arts. Each received a one thousand dollar scholarship. The Christopher story award is a program initiated by Mary Layman of Prudential Realty, California and Mark Johnson of home services lending to recognize the theatre program senior or seniors who best exemplify the philosophy of Santa Barbara high school theatre: passion, commitment, and community. An ambivalent Cinderella? A blood-thirsty Little Red Ridinghood? A Prince Charming with a roving eye? A Witch...who raps? They're all among the cockeyed characters in James Lapine and Stephen Sondheim's fractured fairy tale. When a Baker and his Wife learn they've been cursed with childlessness by the Witch next door, they embark on a quest for the special objects required to break the spell, swindling, lying to and stealing from Cinderella, Little Red, Rapunzel and Jack (the one who climbed the beanstalk). Everyone's wish is granted at the end of Act One, but the consequences of their actions return to haunt them later, with disastrous results. What begins a lively irreverent fantasy in the style of The Princess Bride becomes a moving lesson about community responsibility and the stories we tell our children. 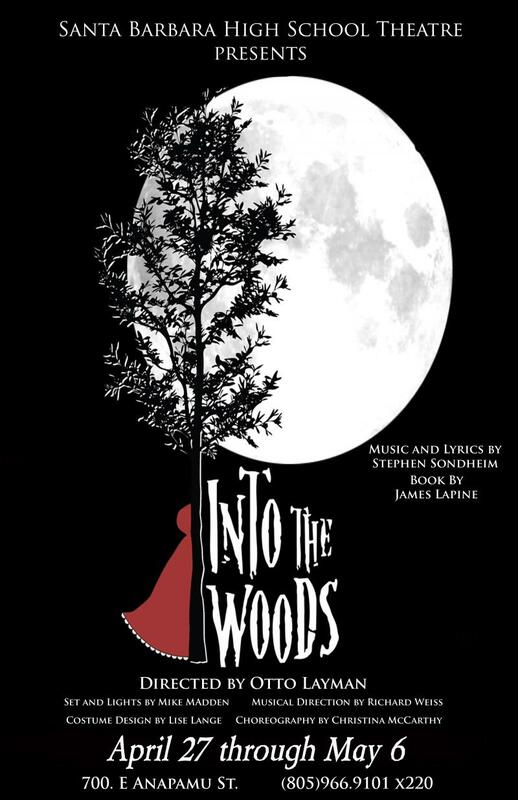 One of Sondheim's most popular works, INTO THE WOODS is a timeless yet relevant piece and a rare modern classic. 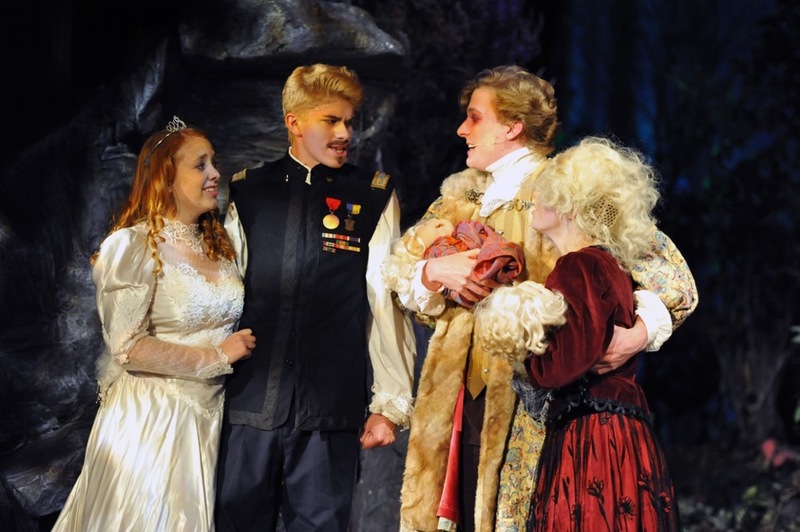 INTO THE WOODS debuted in San Diego at the Old Globe Theatre on December 4, 1986. Directed by James Lapine, it played 50 performances. INTO THE WOODS moved into Broadway's Martin Beck Theatre on November 5, 1987. Playing 764 performances on Broadway, the original production garnered three Tony Awards, the New York Drama Critics' Circle Award, the Drama Desk Award for Best Musical, and a Grammy Award. The original cast featured Bernadette Peters (The Witch) and Joanna Gleason (The Baker's Wife). The original cast was videotaped for PBS' "Great Performances" series and is now available on DVD. INTO THE WOODS' Broadway run was followed by a successful 17-month national tour in 1988, much-heralded West End productions in 1990 (available as an RCA cast album) and 1998, as well as a star-studded a tenth anniversary concert in 1997. 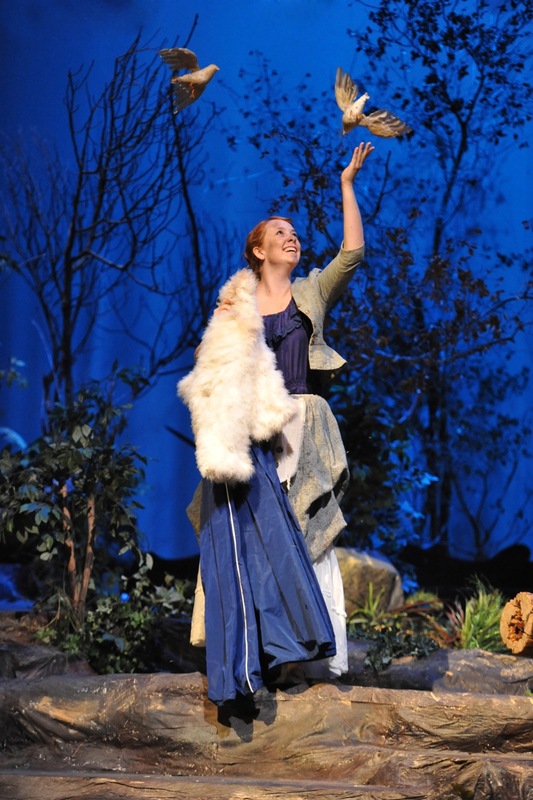 INTO THE WOODS' 2002 Broadway revival also began out of town at the Ahmanson Theatre in Los Angeles. Directed by James Lapine and starring Vanessa Williams, New York previews began on April 13, 2002. The production opened April 30, 2002 at the Broadhurst Theatre. Playing 279 performances, the revival won the Tony Awards for the Best Revival of a Musical and Best Lighting Design. INTO THE WOODS played Regent's Park Open Air Theatre (performed outside, in a wooded area) from August 6 to September 11, 2010. Directed by Timothy Sheader, the London production opened to wide critical acclaim and received the Olivier Award for Best Musical Revival.